Registration technically opens at 8:00am, but the opening ceremony doesn’t start until 8:45am, so you don’t have to arrive at 7:30am, (because no one will be here :-). The event will finish at 3:30pm. Participants will have a chance to work on a variety of Merit Badges. 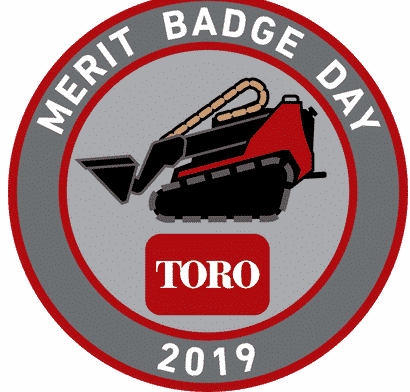 Some Merit Badges will take the entire day, while others will only be half day events. Participants can choose to either work on 1 all day badge, or 2 different half day badges. Please sign up only one Scout at a time. That will make registration work much more efficiently the day of the event. Lunch will be provided to all participants who sign up for either an all day MB, or a morning MB. Check in for afternoon only Scouts will be at 12:30-12:45pm. Participants should come prepared with the pre-requisites listed for each Badge complete, (if any are listed for that badge). Failure to do so may mean that the Scout only recieves a partial, and will need to finish the MB at a later date. We are serious about this. Scouts should also have a blue card pre-signed by their Scoutmaster for the MB’s they are taking, as well as a copy of the MB handbook for those MB’s as well. Scouts should make sure that they read the MB book for their MB’s prior to the event. Scouts should wear their Scout Uniform to this event. Please park in the main parking lot on Lyndale Ave, just south of American Blvd, and then enter by the main doors next to the flag poles. If parents would like to stay for the day you are welcome to wait in a designated room. There are vending machines available there as well as bathrooms. Please stay in that room and do not wander around the building. Parents are NOT allowed to sit in the rooms with their Scouts while MB classes are going on. Due to difficulties in the past there will be NO refunds for this event. *** Note that Toro has a new building located on Lyndale Ave between American Blvd and 82nd Str that will be the entrance used for this event. Do NOT use the entrance located on 82nd Str that was used in the past. Unfortunately Google Maps still shows the main entrance as being on 82nd Str, so be aware that the correct entrance is on Lyndale Ave.